Highland Tank is the premier manufacturer of all types of grease interceptors. Hydro-mechanical grease interceptors are designed to be located closer to the source, protecting the buildings drainage system. Since they have less volume than those grease interceptors that operate on retention time, they require more frequent maintenance. Our traditional grease interceptors (MGI Series) are available in stainless steel or carbon steel with superior protective coatings. This type of grease interceptor is less upfront cost to client however, client should be aware of the costly maintenance fees associated with this type of grease interceptor. Our automatic grease interceptors (AGI Series) are designed to reduce those costly maintenance charges by skimming grease into an adjacent grease storage container on a daily basis. Not allowing grease to accumulate increases performance. These grease interceptors are constructed of 304 stainless steel and are available in on floor models as well as in-floor models. Highland Tank also offers larger volume grease interceptors for buried and aboveground applications. Our passive grease interceptors (PGI Series) are engineered to meet EPA guidelines for effluent quality (100 mg/l) while offering a superior warranty to traditional precast concrete grease interceptors. These interceptors are typically located further from the drainage fixtures and require less frequent maintenance (30, 60, 90 days) due to the storage capacity. 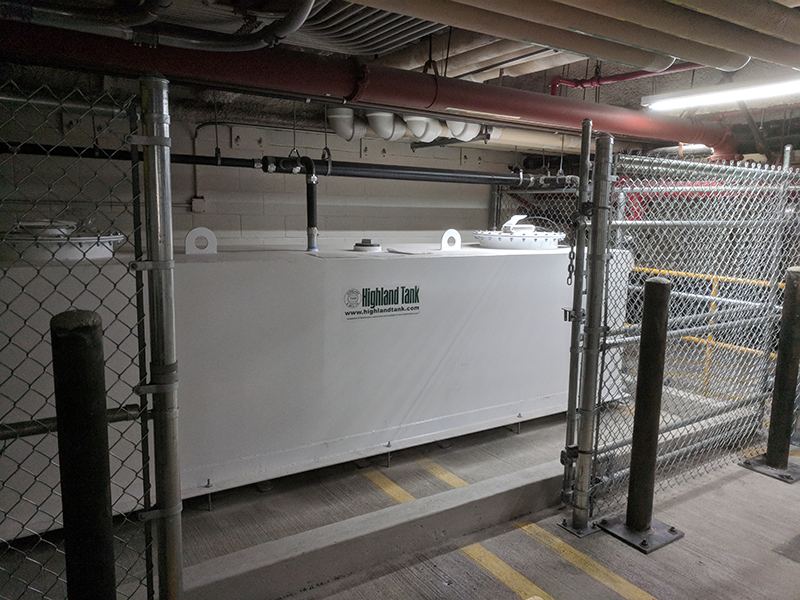 Highland Tank also offers a variety of options including monitors to alert facility of required maintenance, vapor sealed covers, remote pump-out, lift stations, etc. Please contact Chas Tevis at Highland Tank to discuss your application.